Here’s another criminally underrated duo about which I could find precious little information. Even though they recorded singles and albums from 1976 through 1992, it’s as though they hardly even existed. With longevity like that, they certainly did not live up to their pun-like name. Fortunately for us, DJs in-the-know like David Marsden and Ed-FM have done their best to keep Flash & The Pan music alive. 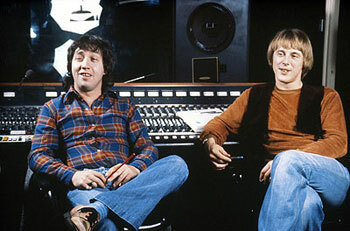 Flash and the Pan was an Australian New Wave musical group (essentially an ongoing studio project) initiated during the late 1970sBy Harry Vanda and George Young, both former members of the Easybeats. George Young is also an older brother to Angus Young and Malcolm Young of the musical team AC/DC. Both Vanda and Young produced several AC/DC albums. “Hey St. Peter” was the duo’s first hit in 1979. They made a strong sophomore effort in Australia and Europe with “Down Among The Dead,”just prior to releasing their first album, Flash in the Pan. They essentially remained unknown in the US, despite airplay resulting from a deal with Epic Records. Our loss, to be sure. Quirky, half-spoken, half-sung lyrics, some of which sound like they are processed through a megaphone, and well-orchestrated music form the signature sound of this band. Check them out, then add them to your 80’s music collection. You know you want to. Buy Flash & The Pan music here. I have been so fortunate to meet some exquisitely talented people from all over the planet thanks to the magic of the Internet. A couple of years ago, I met Australian Kit Rumble’s acquaintance on YouTube because of some gracious comments he left on video montages I had made for Gary Numan songs. Unfortunately, I was forced to remove those montages because the greedy suits at Eagle Records decided they didn’t want free advertising, even though I had Gary Numan’s permission via Tony Webb, his father and manager. At any rate, one happy consequence of all that drama was being exposed to Kit Rumble’s music. This genuinely friendly and humble man has been creating music since the late 70’s. 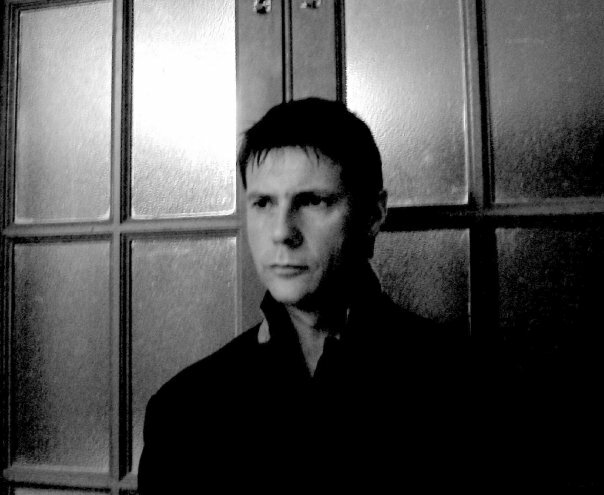 He cites his very first influences as Suzi Quattro, Bryan Ferry, David Bowie, and, of course, Gary Numan. Once Kit heard Numan’s “Cars” for the first time, he was smitten with electronica. 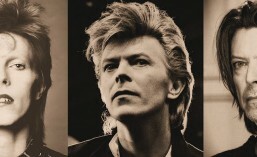 His tastes going forward ran the gamut of Numan, John Foxx, Kraftwerk, and Bowie, whose chameleon-like evolution and innovation he admired greatly. Iva Davies, Australian-grown like Kit himself, was another iconic musician whose work was highly influential. 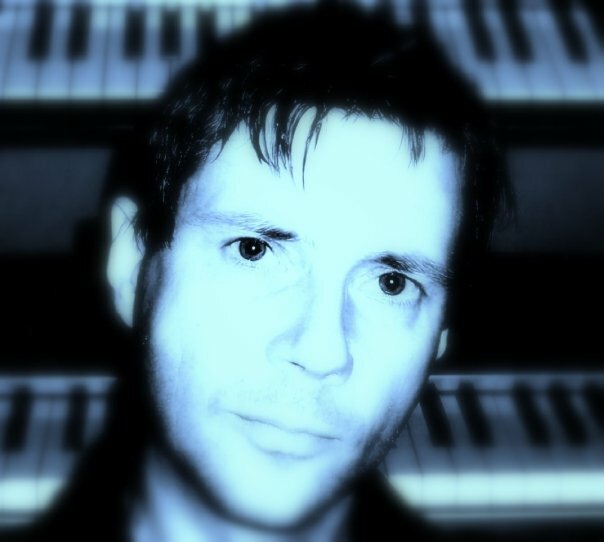 In the early 80’s, Kit moved from Melbourne to Sydney to start his first band called “Subway.” They mostly covered the work of their synthesizer heroes. The band broke up, double-teamed by the repercussions of a bad automobile accident and the arrival of the New Romantic genre. Kit returned to Melbourne to a self-imposed exile, where he shut himself up in a room full of synthesizers, drum machines, and multi-track reel-to-reel decks, and set about writing and recording demos. Life intervened, Kit found himself caught up heavily in the party life, and creating music ended up taking a backseat as a result. After giving marriage an unsuccessful try, and fathering a child, Kit reordered his priorities and settled back into his first passion of writing and performing music. Unfortunately, given the time that had passed, he felt he didn’t quite fit into the music scene he found himself thrust into. The early 90’s and the mainstream music that the corporate suits were foisting upon the masses was not Kit’s cup of tea. He couldn’t stomach “the Michael Bolton/Vanessa Williams/Whitney Houston dominated radio” and even found the 90’s Annie Lennox to be unpalatable compared to her brilliance in the 80’s. 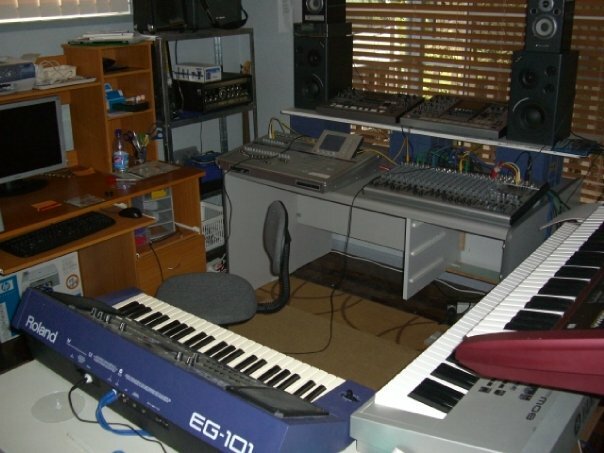 Currently, Kit reports that he is content with creating music and video for the Web. When he was young, his dream was to be heard on the radio. He has realized that dream with radio play throughout the world, thanks to the wonders of the Internet. Not only that, Kit’s music has found its way to one British movie soundtrack, Paul Easter’s film called “Stagger,” with another soundtrack soon to be added to his resume. He has recently teamed up with a brilliant artist from the UK, Dave Webber. Together they are producing some powerful dark industrial music with a view to producing a CD collection very soon. I, for one, can’t wait. Take advantage of this great opportunity and get acquainted with his music. Kit will welcome you into his circle of friends by treating you as though he has known you his whole life. It is this warm and selfless attitude, along with an undeniable talent, that will go far in bringing Kit the success he has worked hard for his entire life. (Thanks to Sugarbear from the Marsbar Theatre for the inspiration to feature this great band). One of many wonderful things we can depend on from our Aussie friends is brilliant music. Icehouse was no exception. Icehouse started out as a group called Flowers formed in Sydney in 1977. The main founding member was singer/songwriter Iva Davies, who was known for his far-reaching and operatic vocals. He later changed the band’s name to Icehouse in honor of a cold flat he once lived in. In addition to his beautiful and engaging vocals, Davies contributed his skills as a musician with guitar, bass, keyboards and oboe. With a nod to the flourishing New Wave sound, Icehouse began using synthesizers and a drum machine. An album released in 1982 called Primitive Man featured Davies on vocals, guitar, keyboard, bass and drum machine. He got an assist from Keith Forsey who supplied additional percussion and also co-produced. The album was received very well in Australia and the UK, with a lukewarm reception in the US. Davies took his show on the road, reforming with John Lloyd (drums) and Michael Hoste (keyboards) from early Icehouse days, and adding Robert Kretschmer (guitar, backing vocals), Guy Pratt (bass guitar, backing vocals) and Andy Qunta (keyboards, backing vocals). Icehouse released the album Sidewalk in 1984. Once again a success in Australia and the UK, the US remained a tough market to crack. 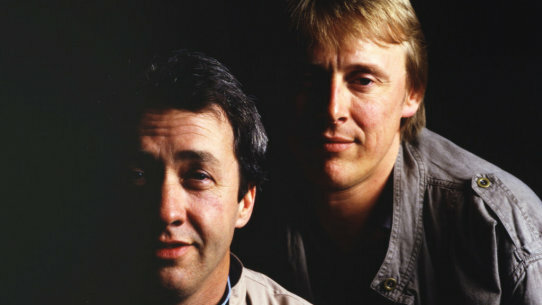 It wasn’t until their 1986 LP release Measure For Measure, featuring Brian Eno that they reached the #9 Billboard position with the single “No Promises.” Their most successful album, Man Of Colours, released in 1987, yielded a single called “Crazy” that climbed to #10 in the US on Billboard’s Mainstream Rock chart. It had five singles charting in the top 30 in Australia. Throughout the 90’s and 00’s, Icehouse would again reform and tour several times, with Davies bringing his fabulous vocals to stage and recording more releases. If you haven’t already availed yourself of this sinful pleasure, do yourself a huge favor and sample the early Icehouse recordings to experience firsthand the flawless singing style and moving lyrics of an amazing artist who also created most of his own backing instrumentals. This man and his band deserved the same recognition here in the States that they justly received in their homeland. My favorite David Bowie song as only Iva Davies could more than adequately cover – in fact, I’d venture to say it’s better than the original.